During the harsh winter months across Europe, it is not an overstatement to say that the weather can be downright depressing. The temperatures are low, the daylight hours are short and sometimes it can seem like the sun barely shines from week to week. 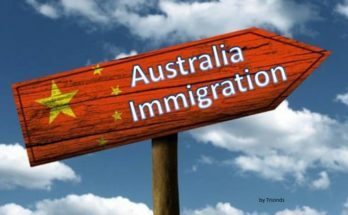 This is made all the worse following all the festivities and fun of Christmas and the New Year period, unfortunately making the spirits of many in January and February feel very low. It’s not hard to imagine that there are some that would simply like to hibernate during these grim months. Another much more pleasant (and realistic) option though, is a lovely winter holiday to lift your mood considerably! A winter holiday is one of the best options available if you are looking for a way to feel recharged and ready to take on the rest of the year. One issue though is that if you are in need of a break from miserable weather conditions, then much of Europe is not the answer. There may be plenty of choice for those who love snowy landscapes and winter sports, but far more limited places to go for warm, sunny weather. Sure you can decide to travel outside of Europe, but this can be both costly and time consuming. Don’t worry though, there is a brilliant option available that will not break your budget or send you travelling far away: the sun filled island of Tenerife! Being one of the paradise like Canary Islands, means that the year round weather conditions are absolutely gorgeous. The phrase, ‘best climate in the world’ which is widely used to describe the climate of this amazing Spanish archipelago, is certainly not an exaggeration! With an extremely pleasant average yearly temperature of 22ºC, it feels like an eternal spring. This means that at practically any day of the year you can stroll around in a t-shirt and shorts. In the summer the temperature very rarely gets too hot and most importantly in the winter the days remain unseasonably warm for a European destination. While you may think you already have ​ Tenerife sussed out as the place to go if you’re looking for plenty of sun, sand and sea at any time of the year, but with little else to offer, then it is certainly time for you to reconsider. While it may be one of the most popular European destinations in the world, it probably has so much more than what you expect, even if you have visited the island before. It may be extremely well known internationally, but it is also a highly underrated place to visit that will very pleasantly surprise you. 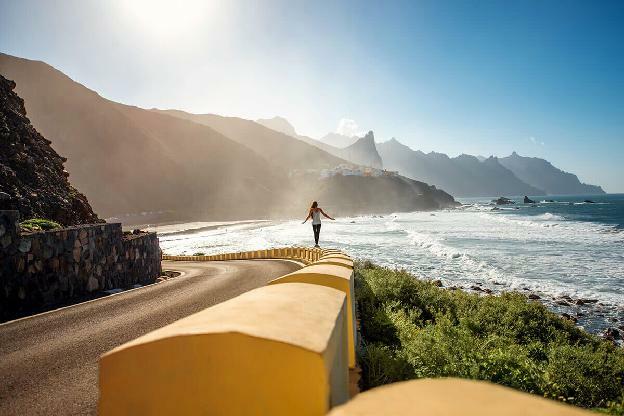 Even by international standards and despite its relatively small size, Tenerife has a number of fantastic features that make it a truly unique destination. Without doubt one of the most iconic of these, Mount Teide, is also its most defining. Standing at an incredible ​3,718-metres tall, these giant volcanic structure dominates the island, and is not only the highest point in Spain, but also the highest point above sea level in the Atlantic islands. Described by both NASA and UNESCO as the third tallest volcanic structure in the world, it is an absolutely breathtaking sight. If you decide you want to enjoy this stunning natural structure up close then there are a number of excellent different options available to you, including a trip on the Teide Cable Car right to the top to experience incredible views from above the clouds. As you gaze out from the enormous height of Teide, the sublime beauty of Tenerife’s nature is present in all its glory. A brilliant option for all of those that enjoy hiking and keeping active, is a trek around the Teide National Park, the most visited national park in Europe and a UNESCO World Heritage Site. The typical way that many tourists experience Tenerife is from the coastline either at the beach, or the hotel they are staying, so the landscape of the park is a world away from this. Undoubtedly the coastline of Tenerife is amazing, but Teide National Park is somewhere you will be able to experience a totally different side of the island by getting in touch more with its natural beauty. Just wait until you’ve seen Teide National Park before making any assumptions about Tenerife! For those of you who are looking for something completely different to try during your holiday in Tenerife, that will give you a real adrenaline rush, then the perfect option for you could be an incredible paragliding flight. You may have a little thought in the back of your mind telling you that you could never do it, but just forget about that and go for it. This is one of those rare excursions that will leave you memories that will last long after the holiday is over and perhaps for a lifetime. What’s even better, is that this is a great choice for a family holiday as it can be enjoyed by people of almost all ages, including younger children. The main concern of the experienced professional pilot who you will be flying with is your safety and enjoyment, so there is nothing to worry about. Instead, once you’re up in the air you can sit back and enjoy the ride! You will be treated to some really magical views of the island’s unique volcanic landscape and the beautiful blue ocean all around, as you soar like a bird high up in the sky above Tenerife. There are few who get to enjoy such a mesmerizing and incredible perspective, as most tourists opt for a week roasting on the beach. We know that you are up for more adventure though. Instead of another day lazing by the pool or at the beach, why not head to the skies for a once in a lifetime, epic experience that will leave you feeling truly rejuvenated with an awesome adrenaline rush. Tenerife is also one of the best destinations in the world to try out a paragliding flight! 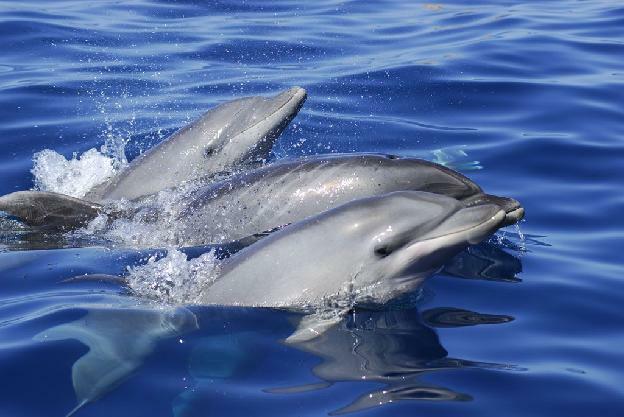 The ocean waters surrounding Tenerife and the other Canary Islands are without doubt, some of the best in the world to experience the amazing sight of whales and dolphins living in their natural habitat, where they deserve to be. What’s more all of the family can enjoy a tour to see these beautiful creatures in the wild. Witnessing these stunning animals in the ocean is a unique experience that is both extremely enjoyable for those on the tour, and so much better ethically for the whales and dolphins than seeing them trapped in captivity. You will almost certainly be captivated the first time you see a pod of dolphins racing through the sea and leaping majestically through the waves. The intelligence, grace and beauty of these creatures is truly something special to behold, with the ocean around Tenerife being one of the best places worldwide to witness them. You will also be able to enjoy the sight of whales as they glide gently through the ocean and come to the surface for air, with a multitude of different varieties living and travelling around this area. They will swim almost close enough to be touched and are certainly not shy of people or the tour vessels. Just like with the dolphins, these gentle giants will leave you mesmerised and should not be missed. 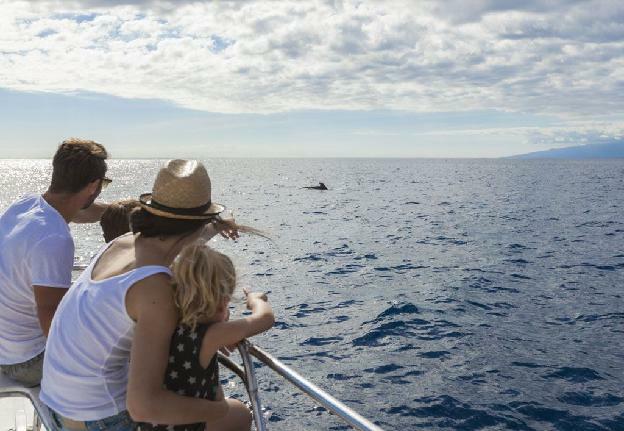 An excursion to witness whales and dolphins in the wild is definitely one of the best ways to enjoy an amazing winter holiday in Tenerife! If these excellent different options haven’t already made you decide to start booking your flights over to Tenerife this winter, not to worry as there are even more incredible things to see, do and experience on this island paradise. This includes swimming and snorkelling in natural pools and the ocean, mountain biking, trekking down the stunning Masca gorge, sea-kayaking, zip-lining in a huge pine forest and exploring historical urban areas such as Santa Cruz and La Laguna, not to mention all the wonderful culture to experience and delicious food and drink to taste. Freebird Catamaran is a local company, based and founded in the Canary Islands and offering amazing whale and dolphin watching tours. The company has over 40 professional employees, 22 years of experience and a real passion for providing the best possible experience for those on the tour, and for the preservation of the ocean environment. Because of this, in November 2017, Freebird signed a long term agreement to help protect whales, dolphins and porpoises with the World Cetacean Alliance. Booking of the different tours that Freebird offers can be done online and there is a free bus service from various pick up points across the island for clients. This will take you to the departure point of the excursion in ​Puerto Colón, Costa Adeje.